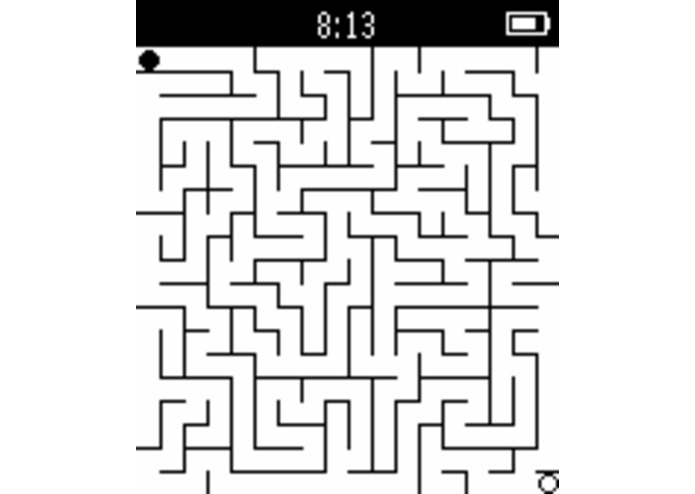 Your Pebble is a virtual marble maze- tilt where you want to go. PebbleMaze is a "virtual tabletop" marble maze where you tilt in the direction you want to go to reach your goal. 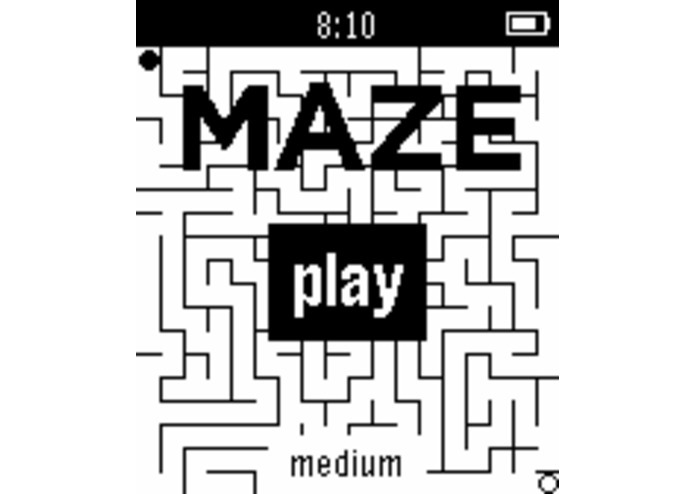 The maze is uniquely procedurally generated each game. The up and down buttons change difficulty. I worked on the rendering system for the levels and overall app structure. 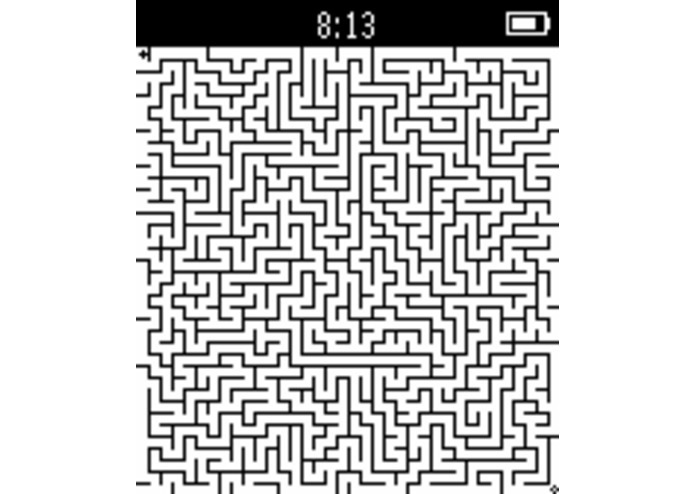 I worked on the maze generation algorithm (which was recursive, but had to use the heap instead of the stack due to limitations of the Pebble), as well as the menu/difficulty interface.